This article is a part of a carrier billing series sponsored by Vodafone developers program. PK Online Ventures is a digital media company focused on multi-screen video and advertising markets. Founded by Viraj Malik and Cauvery Adiga in 2007,the company is headquartered in Gurgaon with a presence in Bangalore, Mumbai and UAE with over 100 employees. PK Online is a spin-off from Percept Knorigin. The company had clocked Rs 26 crore in revenue in FY14 and plans to touch Rs 50 crorethis year. PK Online is one of the largest digital content distribution companies in India with more than 50 million videos consumed on its platform every month. The company reaches about 15 million mobile internet users and through their ad network they have more than one billion advertisement impressions per month across various screens. The company’s involved in B2C video distribution as well as providing a platform for content partners. For businesses, it offers a video promotion service, along with campaign management. PK Online has an in-house niche content creation service and video distribution for content producers. The company acquires and aggregates content from over 140 partners. After acquiring content, the in-house team of editors customises it for mobile consumption and then sends it tothirdparty destinations. PK Online’s technology lets users buy or rent movies using debit/creditcards and also through net banking. They have integrated with telecom operators to enable carrier billing, where the pricing of the content starts from Rs5. Vodafone is among the telecom operators that PK Online uses to make billing transactions easy for consumers. The company serves over 30 curated content channels, video on demand and over 100 broadcast channels. HelloTV is one of the four PK Online products. The app provides users with relevant, curated content in their desired language on their devices. It also works on 2G connection and makes use of lowest possible data. Through this platform they offer users access to about 120 TV channels, 1000 movies and10,000 videos. PK online claims to have 10 million video streams andone million paying customers.They feel that the USP of their product is their highly scalable tech platform. They have TimesNow, Headlines Today, TenSports etc on board as content partners and Shirdi TV, Mini Movies etc curated specially for HelloTV. Google play, iOS, Windows, Micromax, MobiKwiketc are their distribution partners while they also have tie ups with all major operators such as BSNL, Vodafone, Idea, Airtel, MTNL and Reliance. 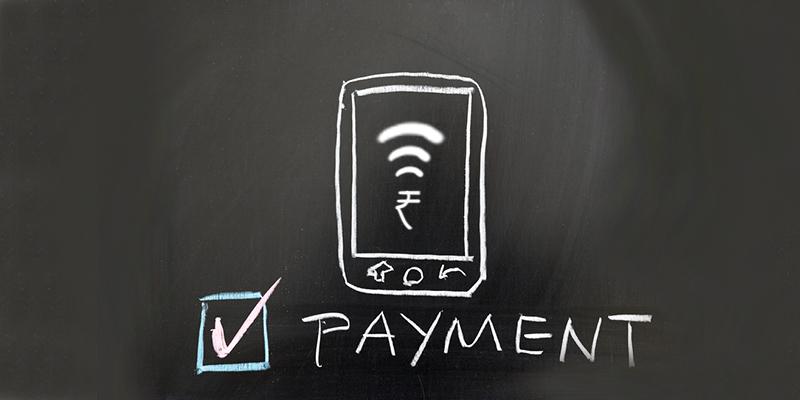 Direct operator billing as mobile-payment method flies under the radar as most people aren’t aware of it. Vodafone has announced its developer program, with intention to improve consumer purchase conversion rates and transfers payment processed from the mobile network operator to the merchant. Vodafone’s carrier billing grabs developers attention, for the fact that Vodafone has fair revenue split with app developers – merchants/content players take up to 70% of the revenues from app sales with a slab system in place based on the topline. PK Online’s videos work on the lowest video playing handset as well as with smart phones. To make this service widely available, they have integrated with cellular companies like Vodafone. So far paid subscription has been the key source of revenue for the company. PK Online crawls content through automated feeds to ensure that the user has access to the latest content. Since the attention span of mobile users is shorter, emphasis on better curation. One of the advantages of the operator’s billing is the sheer scale of the reach that content producers get. For example, the Vodafone partner program for developers provides a collaborative and direct to consumer digital service along with new monetisation opportunities for startups. PK Online uses Vodafone’s carrier billing option. Number of Active Users: Always monitor the reach and engagement of your app and figure out how to get more users. Sessions per User: To increase number of sessions make sure that the app is stable and has good UI and UX. Video Views per User: Make sure that it is easy for users to discover and engage with content. Monetisation: To get the best returns aim to provide premium content and high end features. Commerce in India is mainly cash based. Even the driving force behind e-commerce is cash on delivery. For digital content developers and distributors the cash model doesn’t work and debit/credit card owners are limited in numbers. That is why a slight shift is happening in the micro-payment ecosystem; digital spending is moving from card billing to carrier billing. The convenience and simplicity of carrier billing could result both in an increase in the volume and value of transactions and in migration of spend from card billing to carrier billing.